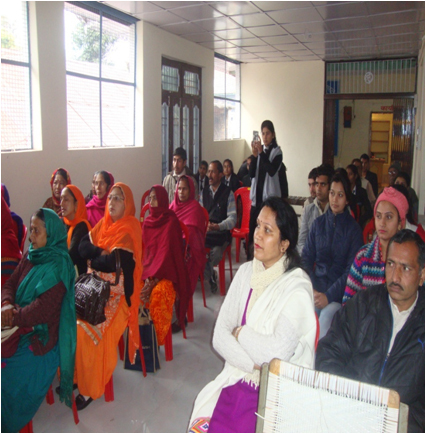 A seminar was organized by the cell, on 24/01/2017 at Gram Panchyat Mehal. 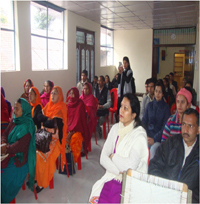 Dr Kaushal Kumar Professor , Centre for the study of Regional Development School of Social Sciences JNU, New Delhi presided over the function. 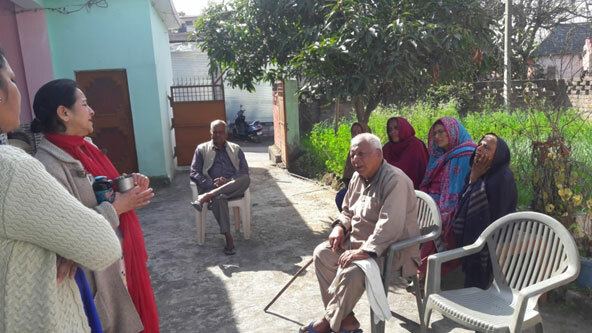 Chairman Follow up was reviewed by the Community Cell with Dr Kaushal and it was emphasized to arrange training for Cultivation of Mashrooms. 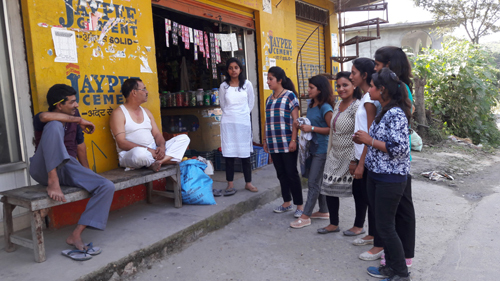 Students of School of Legal Studies and Governance visited three villages of Mehal Panchyat to provide extension services. 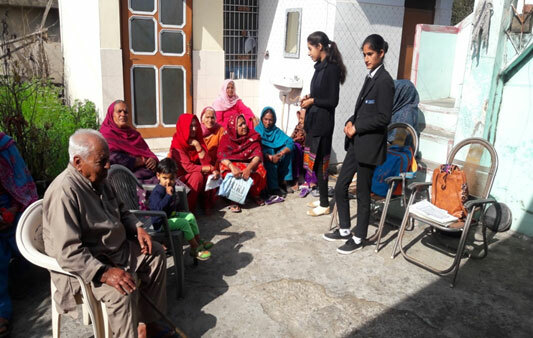 A team of 26 students and two faculty members under The Community Development Cell, an outreach programme, visited the villages to address Educational, Vocational, Environmental, Social and Health issues of the villages. 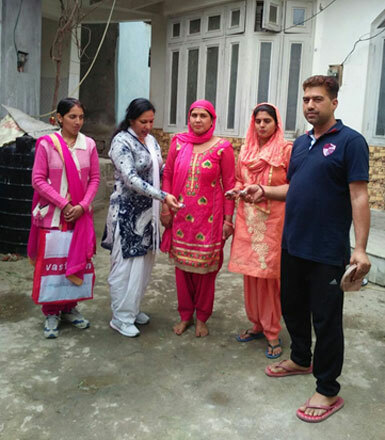 The campaign was started from the Biyardh village with signature campaign on “Beti Padhao Beti Bachao” by the students and teacher. 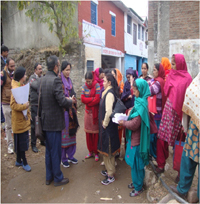 Educational services were provided in the village Mehal under the direction of Dr Kaushal Kumar Professor, JNU. 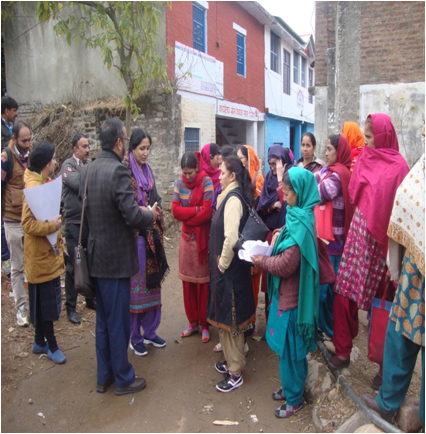 The volunteers studied and collected data about demographic profile and the educational status of the villagers and assessed it on various parameters. 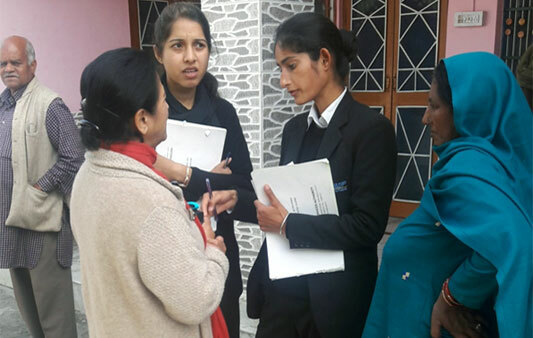 A group of 7 young villagers from the village, preparing one agenda with the help of Pradhan Ms Neeta Devi to provide them educational support (Basic Knowledge of Computer) with the help of university faculty. 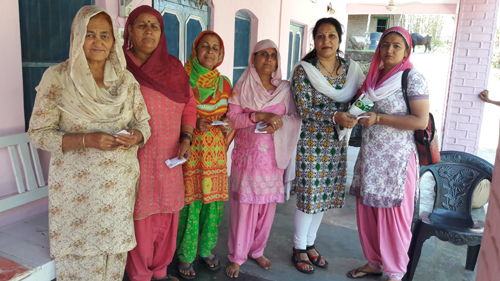 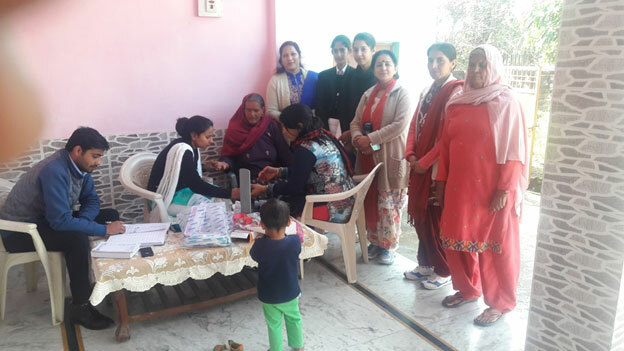 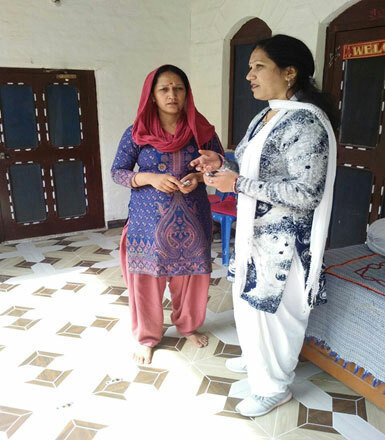 Services for eco-villages were provided in the village Mehal under the guidance of CDC coordinator Dr. Shashi Punam with e support of NSS coordinator Ms Jyoti Thakur , Shilpa Bhatia, Ms. Manisha. 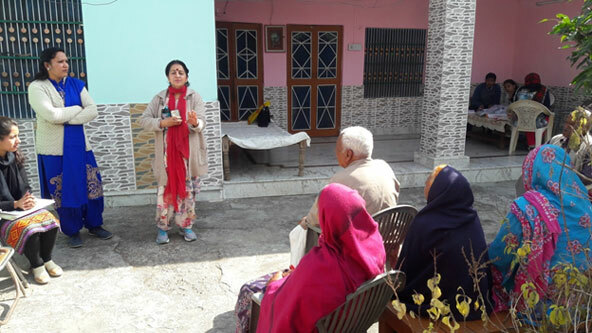 Awareness was created on environment protection, nature conservation and pollution control among villagers by visiting door to door. 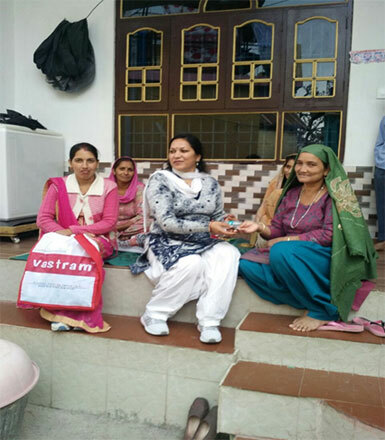 The villagers were also given some relevant information and counseling concerning their health and hygiene. 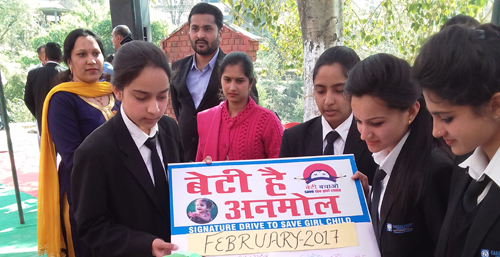 Save girl child is an awareness campaign to save the girl child by ensuring their safety as well as to stop the crime against girl child especially female foeticide and gender inequality. 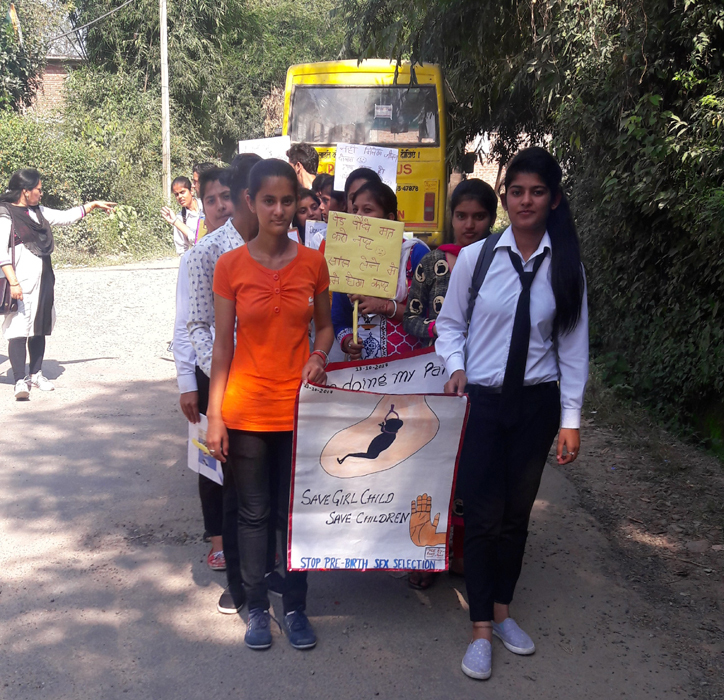 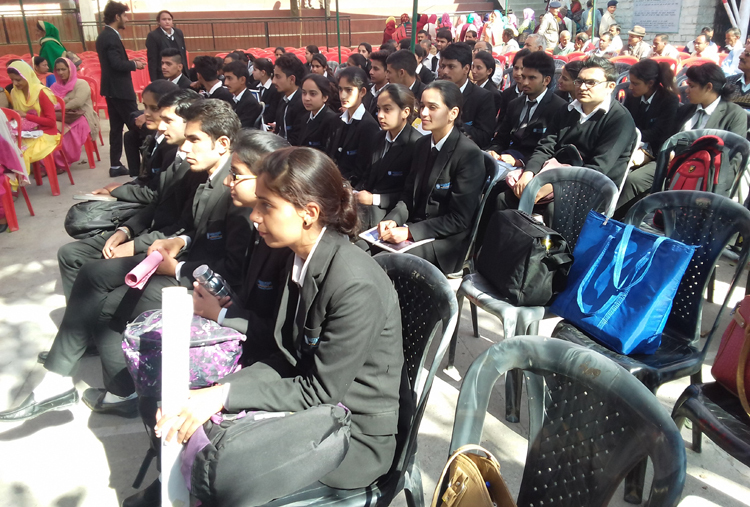 Students of Career Point University, Hamirpur have successfully run the campaign of save the girl child by removing the male dominating nature of the society. 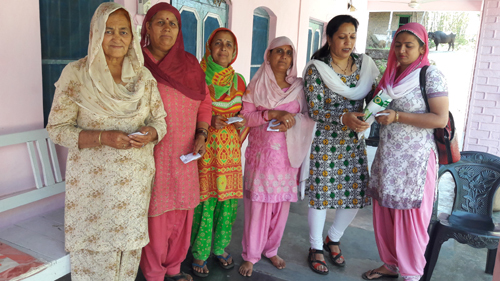 Data for Swachchh Bharat Abhiyan was also collected from all three villages from around 130 villagers on various criteria.